Did you know that according to the American Humane Association over 10 million dogs and cats are lost or stolen in the U.S. every year? April 17 -23, 2019 is National Pet Identification Week and Braxton’s Animal Works is reminding its customers to take every precaution to be sure you can be reunited with your pet in the event he or she becomes lost. Recently, my personal facebook page has been inundated with messages from desperate pet owners asking for help in finding their lost pets. Even local police departments are joining the cause by posting pictures of lost dogs. It is more important than ever to be sure that your pet has a reliable form of identification on him at all times – even if he is an indoor pet. 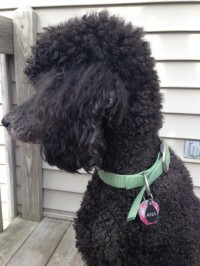 For this reason, Braxton’s is offering a free Imarc pet ID tag during the week of April 17-23,2019. 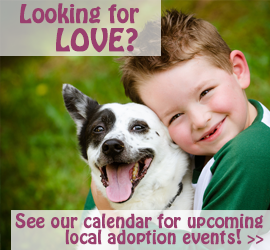 Click here for a coupon for a free pet ID redeemable at Braxton’s . Because 1 in every 3 pets will become lost in their lifetime, ensure their safe return. The return rate for lost animals with microchips or tattoos is 20 times higher for cats and 2 ½ times higher for dogs compared to lost animals without an identification device. A microchip is a permanent means of identification that is implanted under an animal’s skin. The chip can be read using special equipment by any veterinarian or animal control officer and provides the information needed in order to reunite the animal with its owner. After your pet is implanted with a microchip, you should check with the microchip registry to make sure the microchip is registered and your contact information is correct. Outdated phone numbers, email addresses, and street addresses are useless to an animal shelter or the finder of your pet. A few years ago, a friend of mine found a dog on her front porch. The dog seemed friendly enough, and he was wearing an ID tag. So she thought – great! She called the number on the tag and found that it had been disconnected. Not sure what to do next, she decided to get her leash and walk around the neighborhood. Sure enough, she met the owner out looking for her precious, furry friend. Since the family was new to the neighborhood and had not had a chance to update their contact information, they were extremely relieved to have found their pet so quickly. Tattooing, another alternative, is a permanent ID that involves marking an ID # code on the belly or inside leg of dogs or the ear of cats. We hope your companion never finds himself lost, but if he does, you will be grateful that you made the simple effort to ensure he is wearing an up-to-date pet id tag.